While I was student teaching, in my rush to get ready in the mornings, I had a few wardrobe staples that I would always fall into wearing: patterned leggings, my boots, and a basic long-sleeve t-shirt that I could easily put a sweater over. While in my mentor’s class, however, while I try to look as professional as possible, the very atmosphere of a college classroom and my role within it has changed how I feel I need to dress. Whereas I was very concerned when I was in a high school about how professional I looked, in my mentor’s class, although I try to avoid t-shirts whenever possible, on my lazy days, I’ll throw a t-shirt on and a baseball hat on to cover my hair. The problem with my lazy days, though, is that it makes me look more casual than I should look in my mentor’s classroom. In a sense, her classroom is also my classroom, especially as I’ll be teaching soon, and when I’m wearing a baseball hat or a t-shirt, I don’t look like I own the classroom. I look like my students, instead. I have a bad habit of slouching, as well, something I’ve noticed in my students (another similarity) when they’re looking at their computers instead of paying attention, but when I’m standing at the front of the classroom (as opposed to hiding off in the corner with my own laptop), I try to overcompensate for that and take up the space that I know I can. Standing with my arms against the chalk tray is its own kind of power pose, I hope (although not of the Wonder Woman variety), but at the same time, it could be seen as lax or too casual, and I’m constantly searching for the balance between being a figure that students feel safe to approach and being an authority figure of some sort. This is something that is definitely reflective of my larger identity as a person—in therapy, one thing I’ve struggled with is defining myself outside of my identity as a student, and in the classroom, I still feel and look like a student. At the same time, trying to appear confident is a bit at odds with how I feel most days, which is cripplingly anxious. I keep my pens in my bag so I don’t have anything to click when I’m in front of the classroom, and by spreading my arms so wide, I look more relaxed than I actually feel in front of my students. I’ve often talked to some of the other GAs about how appearing confident like this is just a matter of adopting a “teacher persona,” something I struggled to do in student teaching, especially when it came to classroom management and discipline. The urge to stand in front of the classroom, too, is part of my teacher persona, so I can become an active part of the class rather than just sitting behind a desk, but it’s still hard for me to confidently implement. I would love to find more natural ways of standing in front of the classroom while still appearing active and confident, is what I’ve realized, and I hope that while I try to hide my anxiety in front of the class (although maybe I should show it? Or at least be open about it? ), that my tone sounds as confident as I want to be in front of the class. The nature of my anxiety is one thing that I might want to share with my students that is currently a bit hidden from view (although maybe not so hidden if my awkward posing is just a manifestation of my anxiety). This anxiety also ties into how I physically appear as a person, since I identify and have been labelled as fat, and am consciously aware of how much space I’m taking up. I did make this partially clear to my students as we were talking about a fat-shaming article in class, and I mentioned that I cry after every doctor’s appointment. I have to wonder, too, if they think of me as fat when they look at how my t-shirts cover my stomach and how large my thighs are. Source. The nervousness is primarily because of GAD rather than bisexuality, but “nervous” is definitely a word I would use to describe myself. The other facet of my identity that would otherwise be hidden from my students as my bisexuality, as there is a problematic aspect of “straight-passing” that goes along with such an identity, but as we were having a discussion about privilege, I accidentally came out as bi to my entire class while trying to give an example of something, and I’m curious as to whether or not they would have otherwise known if I’d never said anything. Essentially, attempting to bring forth my teacher persona results in an internal battle between the parts of my personality that are confident versus the parts of my personality that are constantly under attack by my anxiety. Whether or not my students should know this, or whether they see it, is another matter that I can only imagine how much they think about. Author rachellauvePosted on October 5, 2017 October 5, 2017 Categories BSU EnglishTags bsuenglish, fyc, id 601, identity, teachingLeave a comment on Power Pose? Convenience and Enhancement: What’s Meaningful? Multimodality is tricky, difficult to implement in meaningful ways. I previously had the opportunity to TA for Ball State’s course for teaching writing in secondary schools, and in the lesson I taught by myself, I had the class discuss the difference between texts that were digitally convenient and texts that were digitally enhanced*; this lesson prepared them to consider how meaningful digital writing was in their final projects, but as we conferenced later, we realized that it is much more difficult to assign something digitally enhanced than it is to assign something digitally convenient. In composition classes, it’s easy to just assign alphabetic texts. A hundred different reasons can be rattled off for why alphabetic texts should be assigned, but there are just as many reasons to ask students to create multimodal texts, as well. In my mentor’s classroom, there has yet to be a multimodal assignment; although students have been asked to critique a multimodal text (a documentary that they must rhetorically analyze), they won’t be asked to create one until the last assignment when they’ll have to create their own documentary. The class is bookended in this way by documentaries, but the other assignment my mentor will be teaching is also an alphabetic text. To go back to the idea that there are a multitude of reasons for teaching alphabetic texts, the rhetorical analysis and personal narrative the students will have to complete will enable them to go on and write other alphabetic texts for other classes, but which assignment will they likely remember down the road? The documentary they have to create. Having students remember an assignment is not the most important reason to require multimodal texts in the classroom, although it is one. 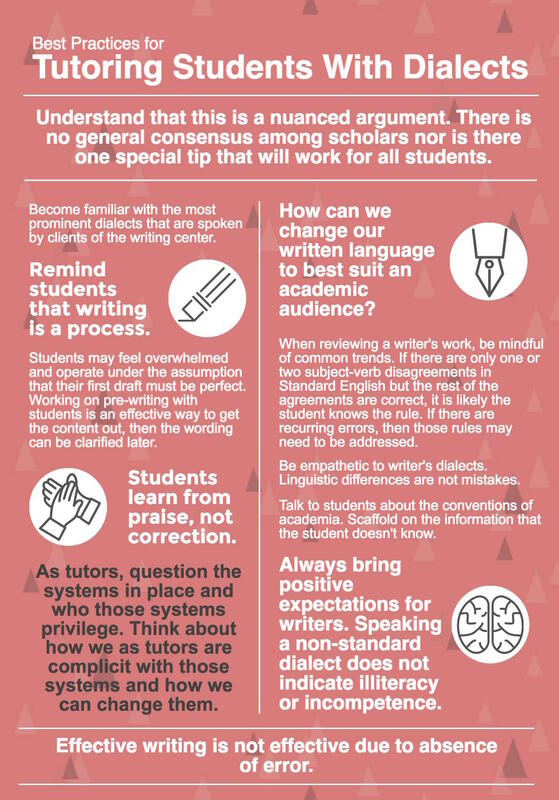 Students will be more likely to remember such rhetorical ideas as audience, tone, etc., through this process of creation, though, rather than just through the process of critiquing like they are in their rhetorical analysis. Of course, then comes the big question, tied to the idea of digital convenience vs. digital enhancement—what should we do when multimodal texts become an act of checking off a box rather than an actual extension of the task? I don’t know if I have an answer to this. Especially as I’m considering what I might do for the third assignment in my mentors classroom, I feel as if I need to have the answer to this. I don’t want to assign something digital just because I want something to be digital if the same thing could be done in an alphabetic way (side-note/reminder—I know multimodality doesn’t have to be digital, but it’s a common way to include multimodality. I’m really interested in art in the classroom, and might try to find a way to implement images in that way, but I have fewer answers about that than I do digital inclusion). My main idea for my third assignment so far is to turn a research paper into a podcast, requiring students to bring in audio from an interview they’d need to conduct, but I again come to the question of if this is meaningful multimodality or not. I could use Serial as an example of how to structure a podcast with other voices and other audio effects, but the idea of convenience vs. enhancement has caused me to continually second guess myself on how to use multimodality in the classroom. Most of this has been focused on multimodal end products, too, which is a bit problematic in its own right. We should also be encouraging multimodal processes, too, in whatever ways we can. Could I have students draw as ways to represent their ideas? Could I have students use Google Docs or Twitter as ways to communicate with their classmates—or is that just digital convenience? I have more questions than I do answers about multimodality, but I know that the multimodal world we live in requires that I help my students both critique and create multimodal texts. *This concept was taken from Crafting Digital Writing by Troy Hicks, as this isn’t explicitly stated anywhere in the Google Doc. Author rachellauvePosted on September 12, 2017 Categories BSU EnglishTags bsuenglish, composition, fyc, id 601, multimodalityLeave a comment on Convenience and Enhancement: What’s Meaningful? While student teaching, one of the recurring topics I would discuss with my cooperating teacher was the difference between students with high ability and students with low ability/skills. The spectrum of ability we taught was vast, and it required me to interrogate who I was as a high school student. Honors Language Arts I. Honors Language Arts II. Honors Language Arts III. Composition and Advanced Literature. I had to ask myself, how was I supposed to helps students who struggled to write paragraphs when I had never struggled in the same way when it came to writing? Had I failed before at writing? Did I understand what it was like to struggle with language? I considered myself a learner, but here I was in the role of a teacher. I wish I’d failed more in high school. What good was it for me now to have the weight of being high school valedictorian on my back forever? No one cared about that, I didn’t care about it, and all it did was make me feel as if I had to continue on this path of success that I had set for myself before I even got to the heart of my educational career. This idea of failure is a subconcept that I see as crucial to concept 4 — All Writers Have More to Learn (59). If we only succeed, we’re not learning because we don’t have that struggle to overcome, don’t have strong motivations to grow. In the FYC composition classroom, this means providing opportunities for failure. In providing opportunities for failure, teachers can also provide opportunities for growth, correction, and assessment of learning. We have to remember that assessment doesn’t just mean final papers or final exams (another subconcept — assessment is an essential component of learning to write (67)), but also understanding where our students are in the learning process and helping them to understand where they are, as well. Formative vs. summative assessment is especially important to consider as teachers here; we have to make sure that we have some formative assessment along the way and before it’s too late for us and our students to do anything with these assessments. Some ways we can include formative assessment: have students turn in part of an assignment or have students complete a practice activity. Make it clear that these don’t have to be perfect. In the FYC composition classroom, it’s also important that we incorporate how to read feedback. We as teachers can model (through demonstration, most likely, although the age of transparencies has shifted into the age of screen casting) how we take feedback and how we incorporate that into future drafts or future projects. We can show our students that we’re learning too. Not only can we show our students this, but we can also teach them to revise. Making revision processes explicit makes revision processes easier and shows students that revision is more than just fixing grammatical errors. Revision is central to developing writing, and students need to understand how to revise (66). Essentially, we need to teach our students that they’re learners and show them that we’re learners, too — lifelong learners, at that. Learning how to write becomes easier when you identify as a learner. Adler-Kassner, L., & Wardle, E. (2015). Naming What We Know: Threshold Concepts of Writing Studies (1 edition). Logan: Utah State University Press. I gave her a tight smile, muttering back that it was the worst. We had had previous conversations about how grammar instruction and the mythos of standard English oppressed native languages and dialects, and this knick knack suddenly represented all that was wrong with traditional instruction. First-Year Composition put this idea into concrete terms: native languages and dialects need to be valued and validated in the educational system, and, when they are not, this is a contribution to the promotion of cultural assimilation (xviii) This is especially important in composition classes where the focus is primarily on how we write and use language. As my undergraduate education was in English education, I have the advantage of entering graduate school with methods, content, and pedagogy courses under my belt, as well as practicum experiences and an entire semester spent student teaching high school freshmen. That said, I know that helping high school students understand Romeo and Juliet will be much different than helping college students understand how to write a rhetorical analysis. This previous teaching experience was very traditional in that the curriculum that needed to be followed was primarily crafted in order to prepare students for NWEA testing, even if that meant emphasizing standard American English (SAE, sometimes referred to as Edited American English). I had my phase, as have most English majors, where I declared myself to be a “grammar Nazi” (and given our current political climate, I hope even more fervently that this phrase has died out), but as I began running a classroom, I realized that a lot of my students didn’t understand the importance of reading and writing skills beyond school’s emphasis of SAE; the importance of NWEA for their high school careers was not something that mattered to them, and quite a few of my students thought “English was dumb.” They didn’t care whether they were engaging with the ideas we were talking about, as “First Time Up” says this is the “help” students need most (and this is probably the help we should provide most frequently in our classes), but instead just cared about doing the bare minimum to get by (16). My experience with rhetoric and composition as fields of study are limited in comparison to what I feel I know about the field of education; I can whip out phrases like “scaffolding,” “ZPD,” and “pseudo-concepts” like they’re no big deal, but my understanding of tools like the rhetorical triangle is shaky at best (and as such, a lot of my primary questions about composition come down to what define it as a discipline). The common ground between my educational background and composition, however, comes down to Adler-Kassner and Wardle’s metaconcept that “Writing Is an Activity and a Subject of Study” (4). This was something a lot of my freshmen didn’t understand — how was writing important outside of helping them to earn a good grade in English 9? They didn’t want to be English majors or authors, and they didn’t revise, just as Teller argued of his students, although I loathe to say something similar to Teller. As a had a one-on-one moment with a student, praising him for his use of simile in a paragraph response, he seemed stunned that I was proud of him for that, and I tried to use the opportunity as best I could to emphasize that strong writing like that would get him far in life, as writing is something we’re always doing, even if it’s not scholarly writing. Of course, writing is hard, and many students will always struggle with it, whether that’s because their brains are better wired for math or because English isn’t their first language and they have to write in English as their teachers don’t speak Bulgarian or Spanish or Pushto (three of the languages some of my freshmen spoke). Writing and communication are important outside of the classroom, though, and it is our duty as teachers to help students strengthen these skills. What’s important and what will always be a concern to me in both teaching and in composition is that students be able to communicate their ideas in ways that are easily understandable but in ways that respect their identities. This is what I want for my students, whether they’re studying English as a discipline or whether they want to be construction workers or go into the military or be stay-at-home parents. Composition may have started as remediation, but it can be so much more than that. Coxwell-Teague, D., & Lunsford, R. F. (Eds.). (2014). First-Year Composition: From Theory to Practice. Anderson, South Carolina: Parlor Press.